One of our expert installers Tom, was in Petts Wood in South East London to carry out this install for a new client called Bernadette. Our client was looking to have some new plantation shutters installed to her bathroom window using our top of the range Sumatra (White teak) material. 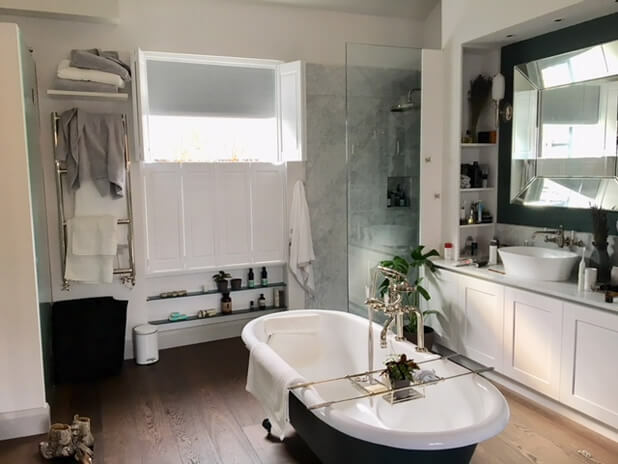 The bathroom itself has fantastic styling, with the bathtub located directly in the middle of the room in line with the window. The key here was to achieve good privacy whilst also allowing for light to flood into the bathroom. 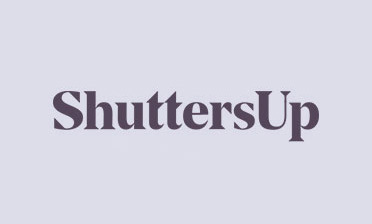 Using tier on tier shutters in a solid raised style allows for complete closure top and bottom, or closure on the bottom half only to allow light directly into the room. 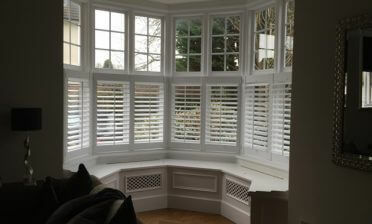 Using solid shutters also helps to provide a better blockage of light compared to standard shutters with louvres and also helped to create the desired look Bernadette was trying to achieve in the room. 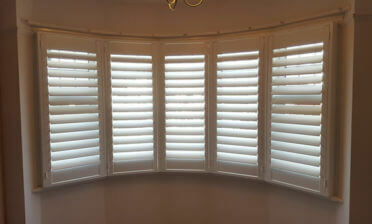 The shutters were finished in a pure white with matching hinges, but also combined with a snow white coloured black out blind. 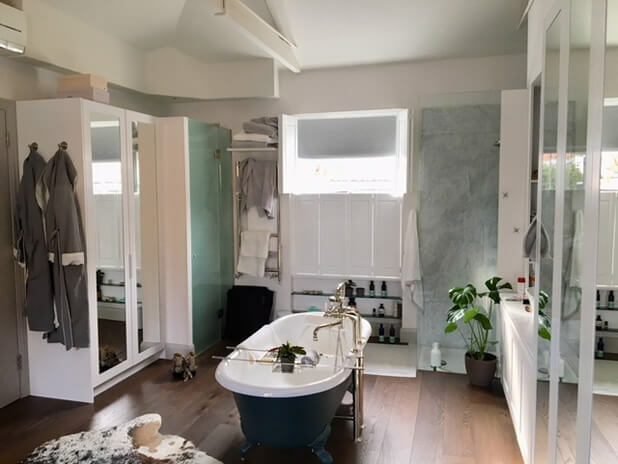 We think this customer will really benefit from her new shutter installation, the tier on tier style solid shutters combined with the blackout blind allows for maximum adjustment of privacy and lighting while adding to the looks of an already very stylish bathroom.